How Should the NFL Punish Tom Brady and the Patriots? The New England Patriots are America’s favorite team to hate. They have played in six Super Bowls since 2001, winning four of them, and for some people, “The Patriot Way” is simply obnoxiously egotistical. 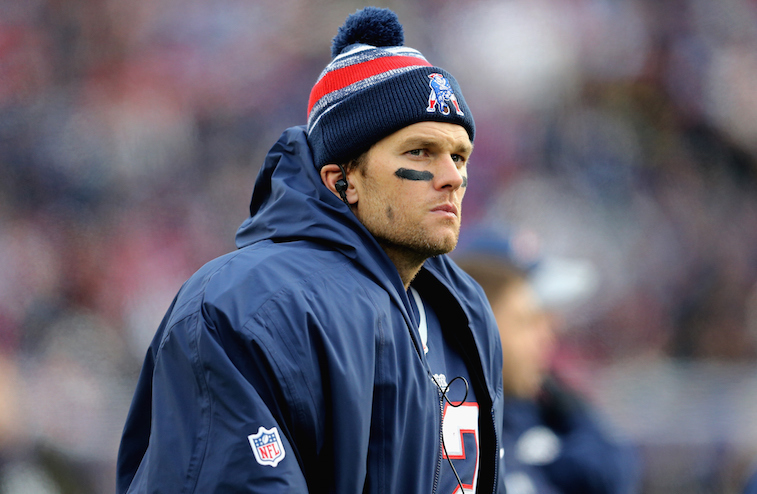 Their quarterback, Tom Brady, is the epitome of a love him or hate him professional athlete. Regardless of whether you love him or hate him, there is no denying that 99.99% of American men envy the 37-year-old signal caller in one way or another. If you follow the NFL, you know that the Patriots are no strangers to controversy. In 2007, the team was caught videotaping the defensive signals of the New York Jets’ coaching staff as part of a scandal that would later be nicknamed “Spygate.” After a lengthy investigation into the scandal, the league came down hard on the Patriots. They started by fining head coach Bill Belichick $500,000 — the maximum fine allowed by the NFL, and followed that up by fining the team $250,000 and taking away its first-round pick in the 2008 NFL Draft. Fast forward seven-and-a-half years, and the Patriots are again facing discipline from the league; this time, Brady could bear the brunt of it. The latest scandal involving the Patriots stems from the team using under-inflated footballs in the AFC championship game against the Indianapolis Colts in January. This controversy has since become known as “Deflategate.” Brady and Belichick both initially denied their involvement and claimed that they were unaware of the footballs in question being slightly deflated, but the league’s investigation into the matter would suggest otherwise. According to excerpts from the 243-page Ted Wells Report, “it is more probable than not that Tom Brady was at least generally aware of the inappropriate activities of (Jim) McNally and (John) Jastremski involving the release of air from Patriots game balls.” The report goes on to essentially say that investigators found the Patriots and Brady to be guilty of altering the air pressure in the footballs they used in the AFC championship game against the Colts. In fact, 11 out of the 12 New England footballs that were measured that day were below the 12.5 to 13.5 pounds per square inch range that is mandated by the league. The NFL is expected to discipline both Brady and the Patriots for their involvement in Deflategate in the near future. This raises the question: What exactly would be an appropriate punishment for Brady and New England? 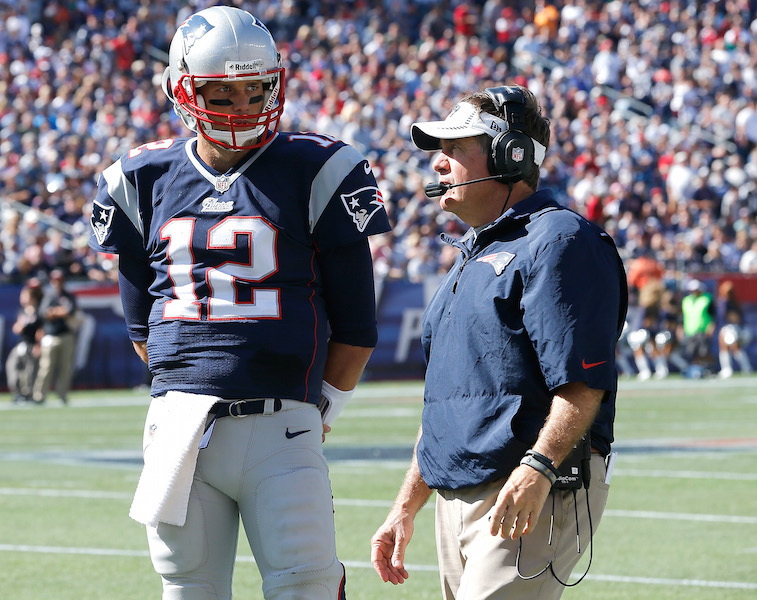 The NFL needs to be careful when handing down punishments to both Brady and the Patriots. Aside from using the precedent set by previous penalties it has handed out, the league needs to be cognizant of the fact that the Patriots would have beaten the Colts in a similar fashion during the game in question even if they had been playing with a bar of soap instead of under-inflated footballs. On top of that, you’d have to be incredibly naïve to believe that the Patriots are the first team to alter the integrity of the footballs used on gameday. Not to defend Brady’s actions, but during my brief time as an NFL player, I learned that it is an extremely common practice for players to “take care” of their ball boys and equipment managers when they spend a little bit of extra time breaking in or altering the new footballs used for games. First things first, it would be unfair and flat-out wrong to compare Deflategate to Bountygate, the scandal that rocked the New Orleans Saints and resulted in a year-long suspension for Sean Payton. There is a major difference between intentionally setting out to hurt players — something that could potentially end their careers — and using slightly under-inflated footballs during a game. While Deflategate does indicate a small degree of “lack of institutional control” in New England, it would be ridiculous to compare that situation to New Orleans’ at the time of Bountygate. It would be much more realistic to compare Deflategate to Spygate, Textgate, or Noisegate, as all four situations involved teams bending league rules to gain a competitive advantage. Spygate resulted in heavy fines and the loss of a first-round pick for the Patriots, Textgate resulted in fines and a four-game suspension for Cleveland Browns General Manager Ray Farmer, and Noisegate resulted in fines and the loss of a fifth-round draft pick in 2016 for the Atlanta Falcons. We believe our proposed punishment for Brady and the Patriots is fair, just, and entirely in line with past discipline handed out by the league. Only time will tell how the NFL chooses to punish the parties involved in Deflategate, but it’s hard to imagine Brady getting off without a suspension.